We disembarked near the Cathedral earlier than we thought we would, so we scrambled through the cold to find a café to get some chocolat chaud or coffee at to warm up a little bit. 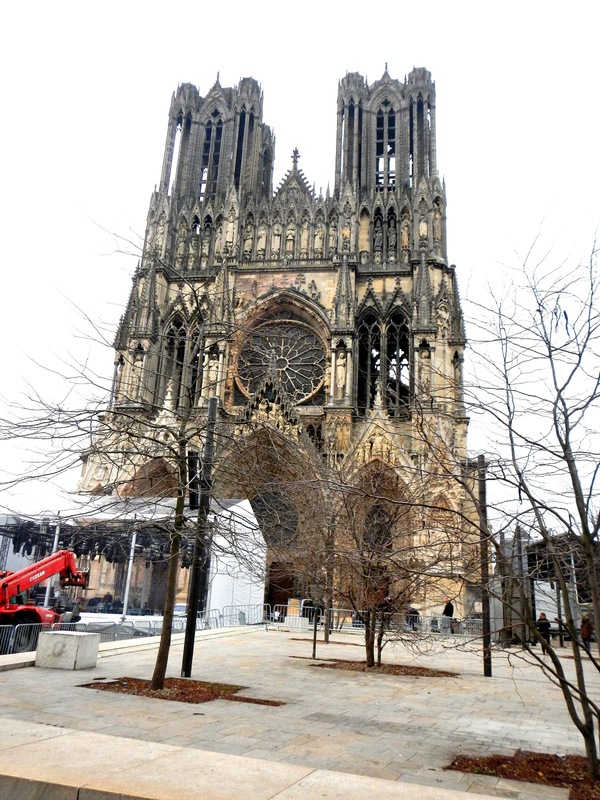 Reims is a little colder than Paris, and Paris was near freezing this morning. After a few minutes, we found a tea shop that looked promising, so Sheila, Joan, Suzannah, Rouge, Kyle, Venezia and I went inside. We didn’t have much time to actually have our drinks by the time we got them, so I downed my huge mug of hot chocolate pretty quickly after I got it despite Kyle’s many warnings of getting throat cancer since I was drinking my hot beverage before giving it the chance to cool down. 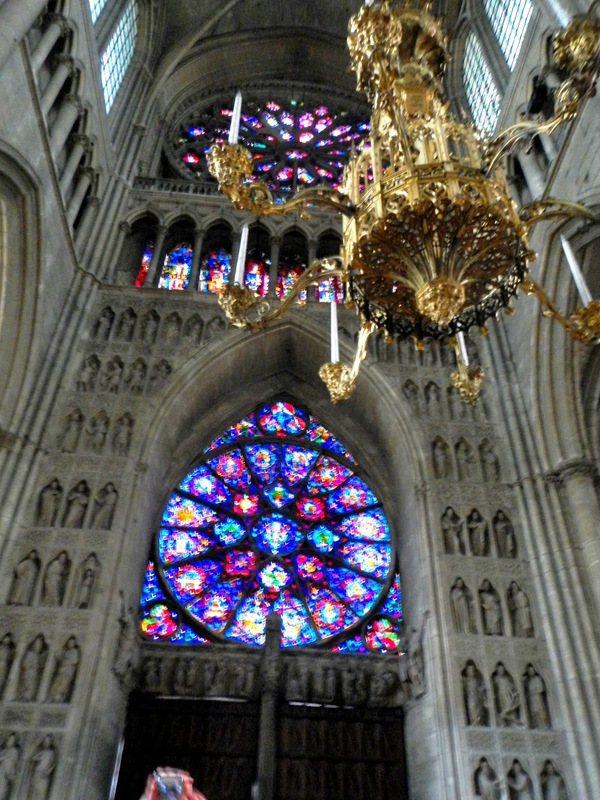 I’ve been to this Cathedral once before, when I came to France with the People to People program… in July… The entire church looks so different in the Winter… Our tour guide for Notre Dame de Reims was absolutely adorable, and full of information. She took us around the outside of the Cathedral first, which drove most of us crazy since we were all nearly frozen solid. 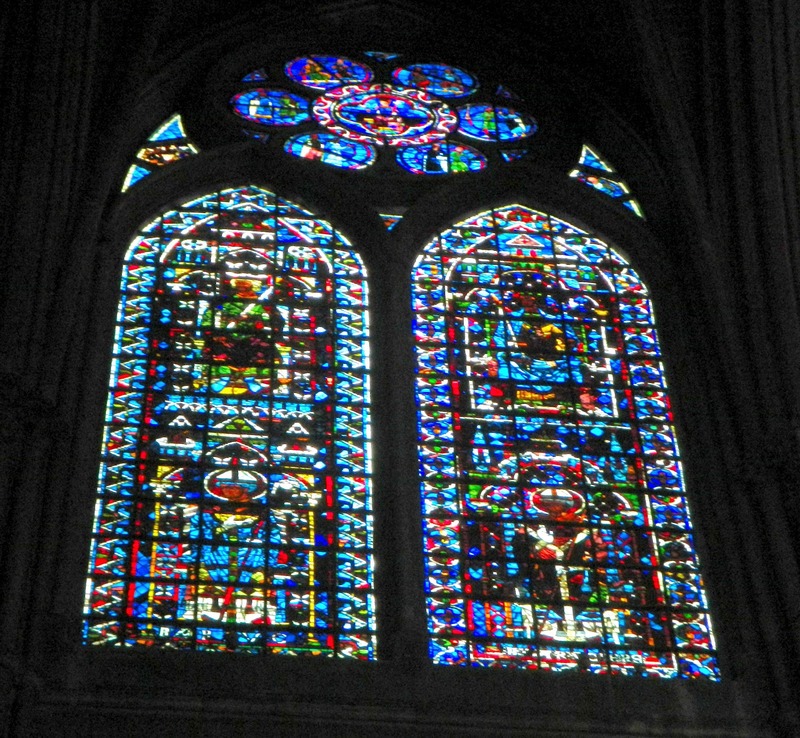 If you check the pictures from Reims on my Flickr, notice that the three peaks of the arches all depict a different biblical scene. Cool, huh? 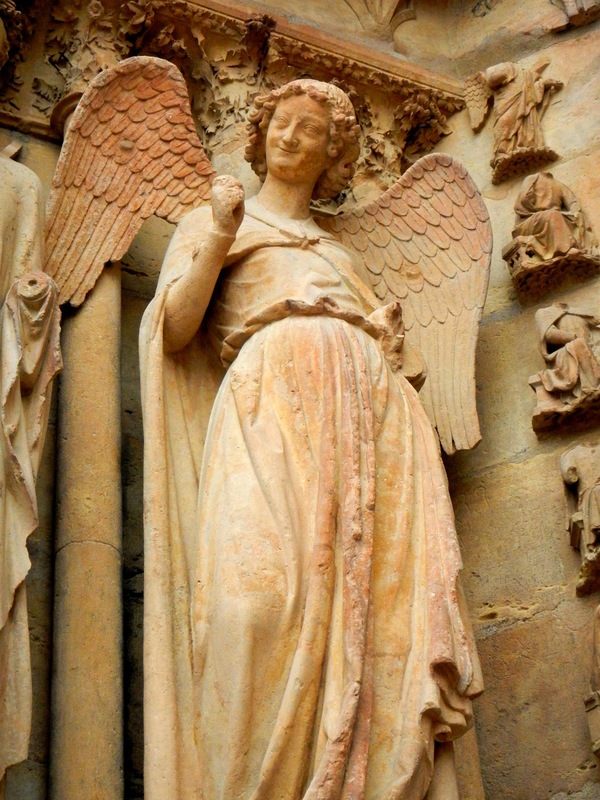 The smiling angel of Reims. When this statue was effectively decapitated by a fire, and a journalist saw it, he said that “the smile of Reims had been killed.” A smiling statue was uncommon for the time period. That’s what makes it so special. After my toes were effectively frozen, we finally went inside. That’s not to say the inside of the Cathedral was much warmer, there wasn’t any heating, but because it was an enclosed space, it was a little better. 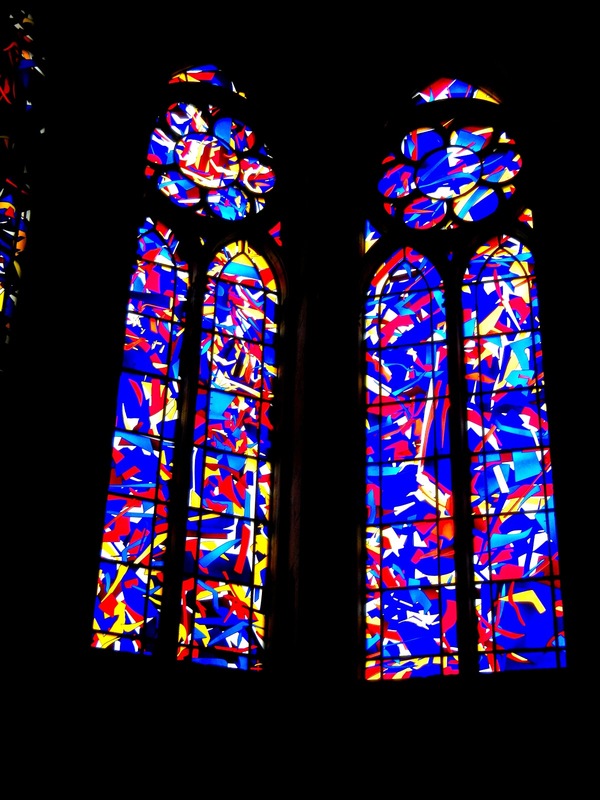 The stained glass windows inside were gorgeous, and they were all made by the same family. 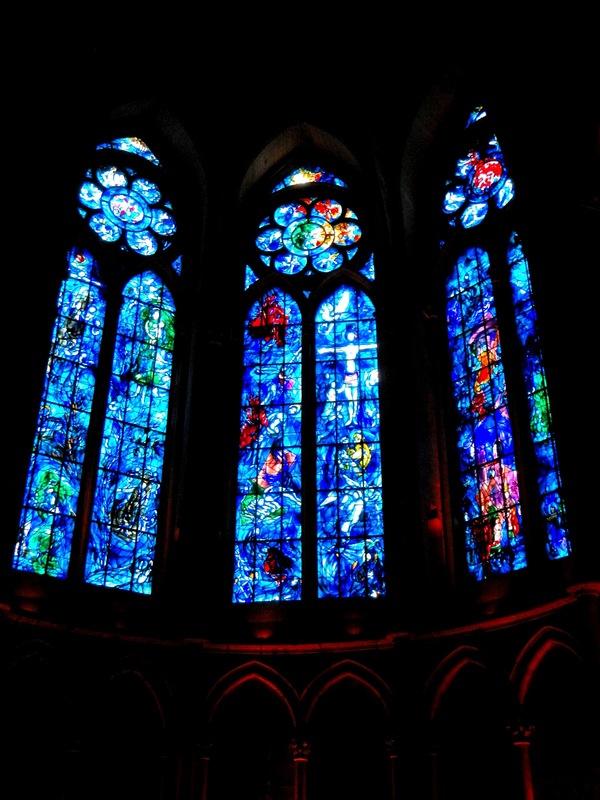 The most famous windows in the Cathedral, designed by a painter. 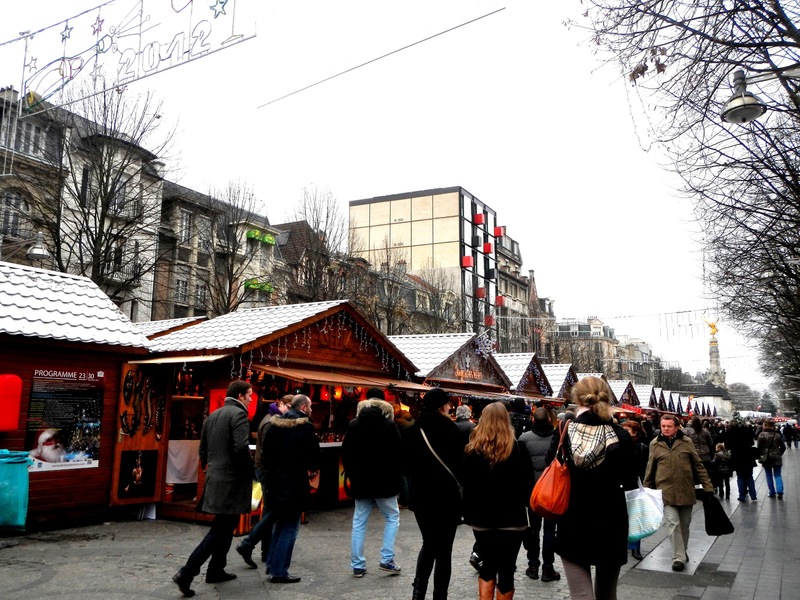 After we were done in the Cathedral, we had our lunch break, and Kyle, Sheila, Suzannah and I headed off to the Marché de Noël that Reims is famous for. 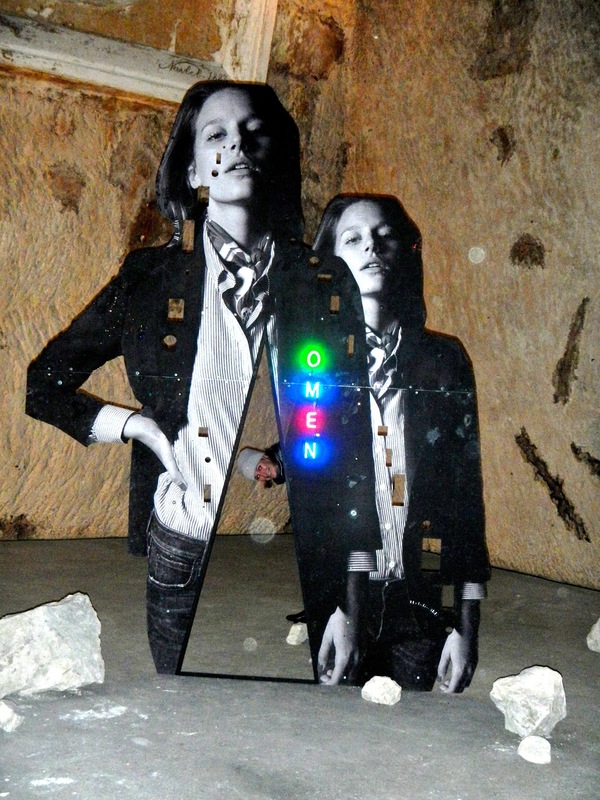 This sculpture cast pictures of light all over the room! I have plenty more pictures on Flickr already. 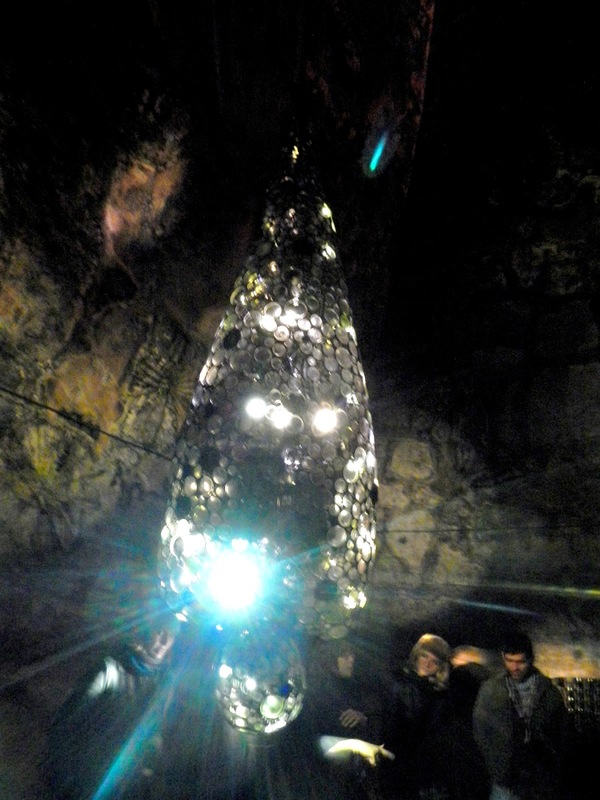 After the tour of the caves (which included a 3-D film about bats, and a line up of rubber boots that moved on their own… and both of those were consider works of art), we all got a free glass of champagne. 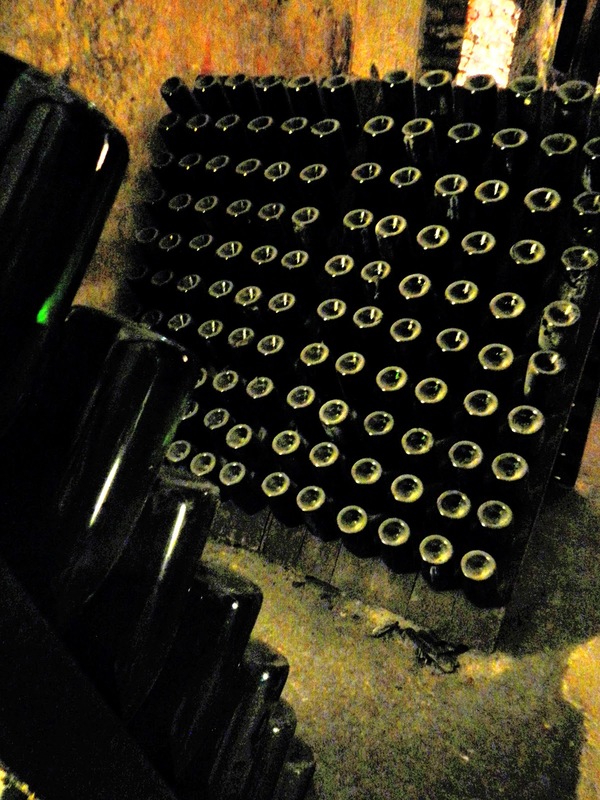 I’ve found that I like it, but only the REAL champagne. The fake stuff that’s just cheap white wine that’s been artificially carbonated I don’t like. The real stuff that “carbonates itself,” I like. Back on the bus, and back home we went. One of Madame’s relatives (we think it’s a daughter, but we’re not sure, it could be a niece) is staying with us for a while. She was here this morning when we got up at had breakfast at 11. They left while we were eating, so we thought we could get away with not leaving the house… but Madame came home around two, so we figured we had to follow through with our plan to go for a little walk that we had mentioned at breakfast to take a break from our homework. She asked us where we were going to walk since she saw us leaving. I said we were going to walk down Avenue de Ternes to go find Mariage Frères, a famous French tea shop that I wanted to buy some tea at to take home with me as a gift for my big sister since she loves tea just as much as I do (when we lived together, we needed an entire shelf for it). I thought it would be closed today, so I said that I just wanted to know where it was so I could go buy something on a day that it would be open. Madame told us that it was just past where you could see the back side of l’Arc du Triomphe from the avenue, and we found it after we’d been walking for about half an hour. It was open, so I went inside, found some good tea, and bought it. We started walking home, and we noticed a metro stop that we’d somehow missed on our way to Mariage Frères, so since Sheila’s still a little under the weather, we took the metro back to Porte Maillot (in reality, we only shaved maybe 10 minutes off of our walking time), and walked back home, then spent the rest of our day resting and doing some homework in our rooms. 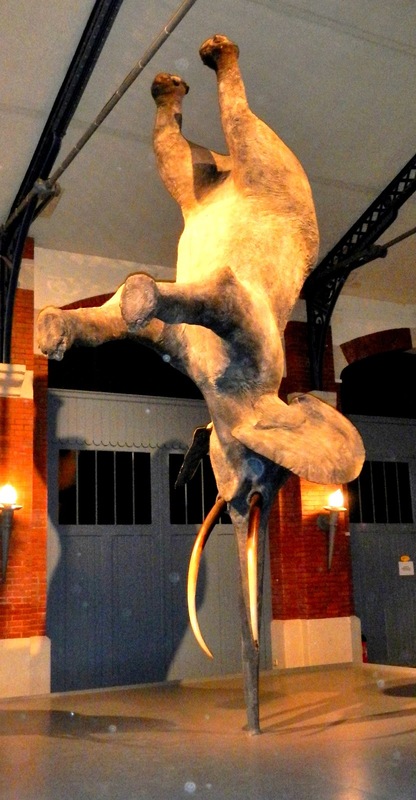 This entry was posted in Baudelaire, champagne, France, french, MacDo, mayonnaise, notre dame, paris, Reims, revenge, Trotsky. Bookmark the permalink.